Cleaner In The Boston Area! We know inviting someone into your home is a big deal. All of our cleaners are carefully vetted by us so we choose the right person to care for your home. Cleaning for homes and other residences. 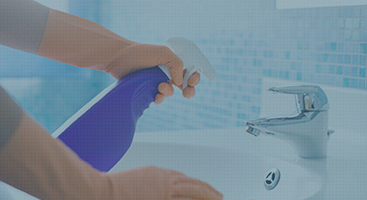 Larger cleaning jobs for businesses. Keep your glass clean and streak free. Post-construction and other jobsite cleanup. We can handle custom cleaning jobs, so just let us know what you need cleaned and we can do it! Get a free quote for your cleaning needs today! Outstanding Cleaning Inc. has developed into a dependable, professional cleaning company providing the highest standard of quality cleaning services to our friends throughout the Greater Boston area. As Outstanding Cleaning grows, both in scale and in scope, we look forward to the challenges, opportunities, and rewards that come from building lasting relationships with a greater variety of customers. Our team of service professionals represents more than just a one-stop solution for all of your cleaning needs; we see ourselves as building a trust-based partnership that makes life easier for you, your family, and your business. We stand behind our brand! Outstanding Cleaning helps you live smarter, giving you time to focus on what’s most important. Select your ZIP code, the type of cleaning you are looking for and extras. Then relax while we take care of your home. Veronice and Outstanding Cleaning have helped my household tremendously with a busy work and school schedule. They are attuned to detail and do extra things that I wouldn’t thing of. Excellent and highly recommended. Wow. Just plain wow. We’ve had house cleaners before, but Veronice and her staff are awesome. I would give a 12 out of 5. The house has never looked better. My wife will be delighted when she sees it. If you need a house cleaner in Eastern Massachusetts, Outstanding Cleaning is the way to go. Veronice and her crew at Outstanding Cleaning truly do outstanding, excellent work! Their cleaning is far superior to the careless work that is so common. Previous cleaners did a “so so” job. It was frustrating that they wouldn’t do the things I asked them specifically to do (normal things, like dusting, or even just neatening and straightening). I came to think this kind of bad service was all that was available. An outstanding cleaner comes over and cleans your place. ©2019 Outstanding Cleaning Inc - All rights reserved.